Web-hosting is a service which makes the website of a user accessible to the world wide web. People today opt for online web-hosting as it is cost effective and saves you from maintenance of a web server. Though there are sites offering premium web hosting services for a good price, there are also many sites which provide free web-hosting with attractive services. 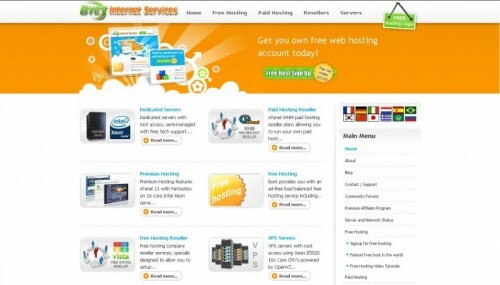 Studying the features of the various sites which offer such service, here is the list of Top 10 Free Web Hosting Sites. 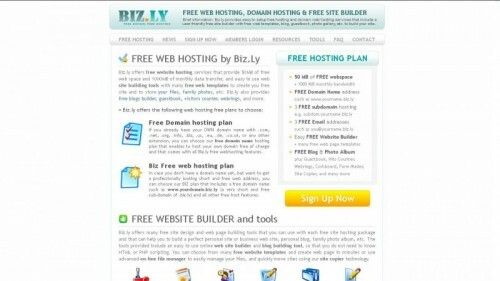 BIZ.LY is one such site which offers free web hosting service. It features various web building tools like site builder, blog builder, web templates, etc. 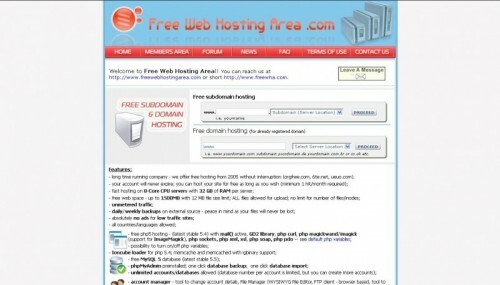 Providing a free domain name (e.g: www.yourname.biz.ly) the site also offers 3 free sub domains and 3 free email addresses. But as the site offers a mere 50 M.B. of free hosting space, it proves to be an utter disappointment. But BIZ.LY can be preferred for its up-time and also for the features it provides. AwardSpace is a web hosting service by AttractSoft and Zetta Hosting Solutions Ltd. 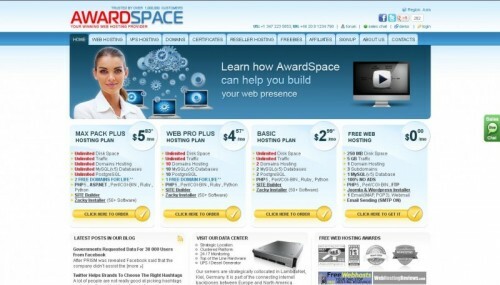 Under the free web-hosting service, AwardSpace offers 250 M.B. of disk space for hosting. The free account provides domain hosting for 1 site, 3 sub domains and an e-mail address with spam filter. It also offers a free MySQL Database. AwardSpace has a 100% No Ads policy wherein your website isn’t subjected to any ads from the hosting provider. AwardSpace also offers great features like PHP 5, Perl, etc. and also gives the user FTP access. 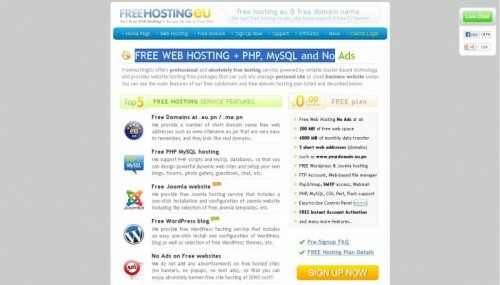 FreeHostingeu by FreeDomain.co.nr and AttractSoft is another such site. 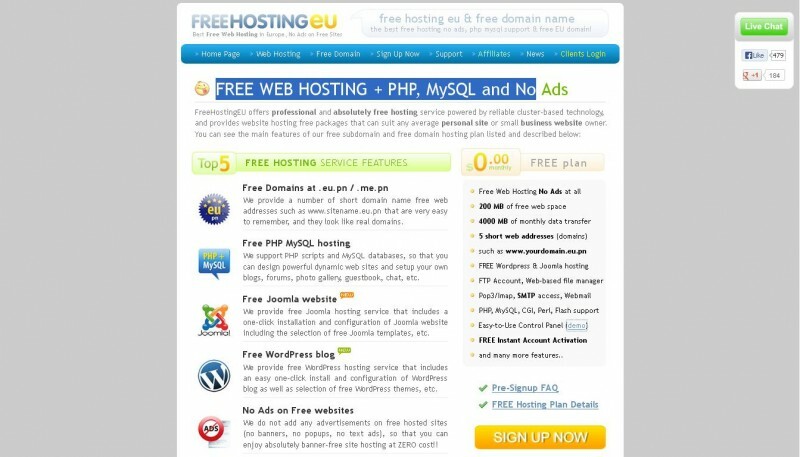 FreeHostingeu provides 5 free domains (e.g: www.yourdomain.eu.pn). The site provides 200 M.B. 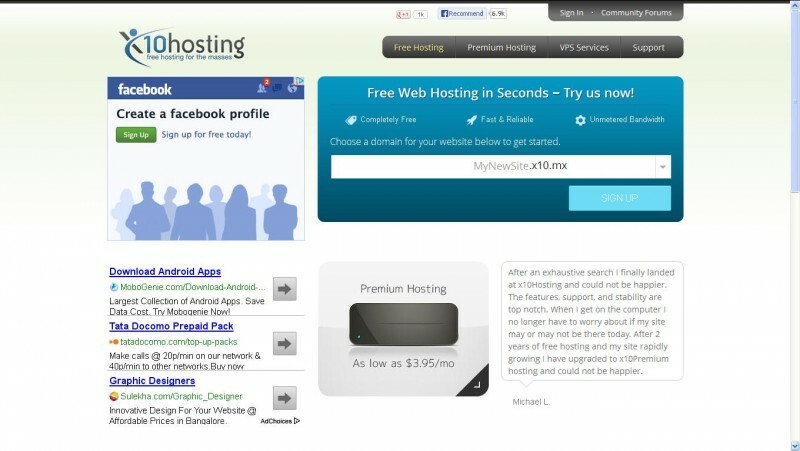 of free web hosting space with a No-Ad policy. FreeHostingeu provides great services like WordPress and Joomla hosting, FTP account with a web-based file manager, E-mail and SMTP access, PHP, A MySQL Database, CGI, Perl,etc. The site features an easy to use control panel and also offers flash support. 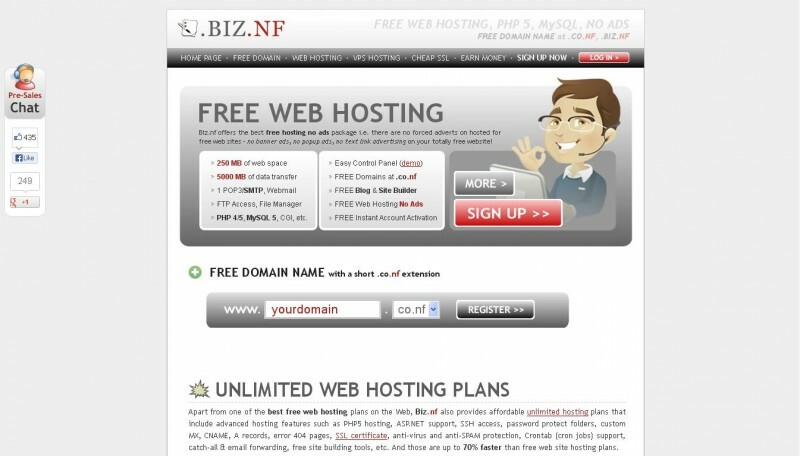 BIZ.NF provides 250 M.B. of free hosting space and offers 3 domains and 3 sub domains with co.nf extension. It also features a no-ad policy, an email account with spam filter, PHP and Perl support, A MySQL database and a FTP account. 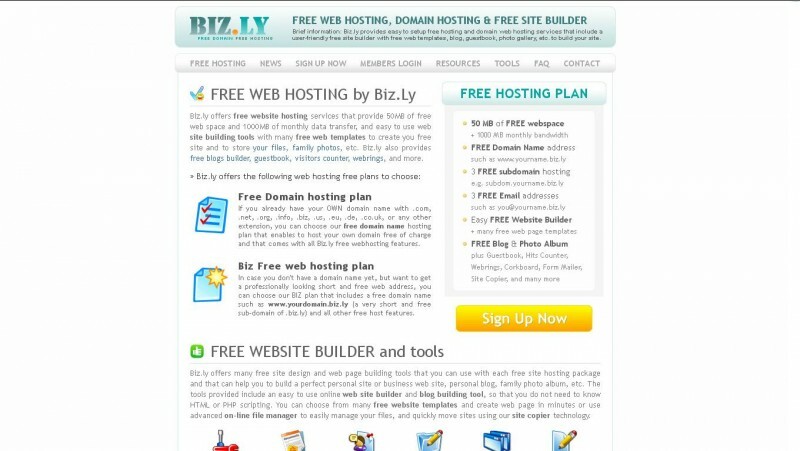 BIZ.NF provide a unique WordPress Blog Builder and a Joomla Website Builder for quicker website building. The site also offers a tutorial for amateurs on how to build a site using the free web hosting service. BYEThost is a great site when it comes to web hosting. 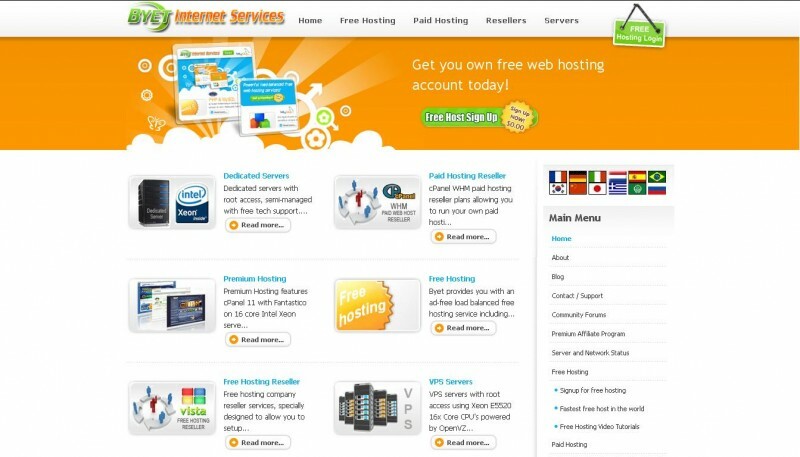 The free web hosting account features 1000 M.B. of free disk space. 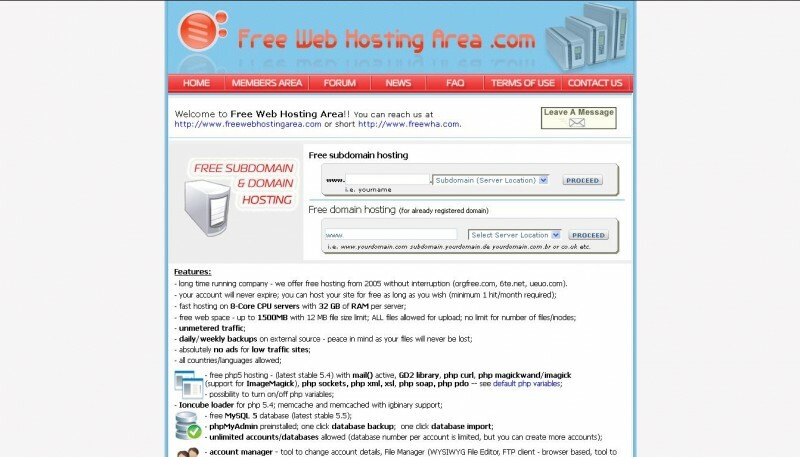 It offers 5 domains and 5 sub domains to its free users. The other features on the list are FTP account, Automatic script installer, site builder with templates, No ad policy, etc. One interesting thing about the site is, it offers 24/7 free support for its hosting services and also offers video tutorials for amateurs. The web hosting service is powered by VistaPanel which has an easy to use interface. For those who never want their site to expire this is just the destination. FreeWebHostingArea offers a no-ad, never expiring free web hosting service (provided your site gets a minimum of 1 hit/month). With 1500 M.B. of disk space, the site offers a lot of other exciting a other features. Keeping it short and sweet, unmetered traffic, PHP 5 hosting, a free MySQL database, pre-installed phpMyAdmin console, one-click database backup and database import, unlimited accounts and databases, web based file manager, FTP client, one click autoinstaller are some of its offerings. For amateurs who know nothing about how innovative you could get on your website and want to learn about it, and also those who need larger hosting space, this is just your place. Zymic.com along with its free web hosting service, offers tutorials on CSS & HTML, PHP & MySQL, Adobe Photoshop, Adobe Fireworks and Cinema 4D. Coming to its hosting service, the site offers a whooping 6000 M.B of free hosting space. 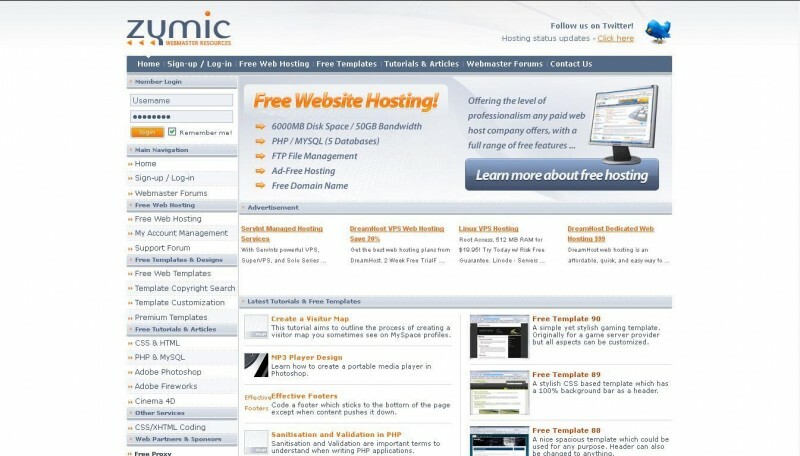 Zymic offers unlimited accounts to host on, PHP hosting, 3 MySQL databases with web based management, FTP file manager, no-ad policy, free templates, etc. As for the control panel, the site features its self-designed panel called Zymic Hosting Control Panel with a really friendly user interface. In all, this a pretty good site for hosting. x10hosting.com offers unlimited hosting space and also supports unlimited traffic. Along with hosting features like PHP and MySQL, x10hosting offers 3 FTP accounts, 3 e-mail addresses, 2 MySQL databases and also a website builder. Clients can opt for 2 more domains and 2 sub domains. The site also has Fantastico and Softaculous to help with the installation of scripts. It features more than a hundred auto install scripts for WordPress, Joomla, Oscoomerce, etc. thus catering to a wide range of necessities. The site also provides support both by documentation and support chat. The site also features a forum where in all your queries can be answered. 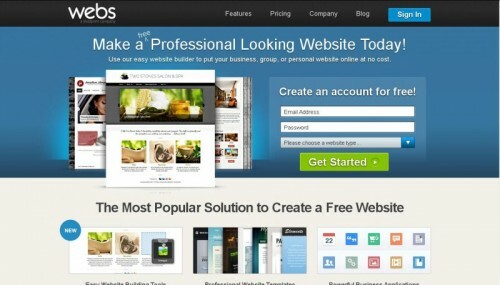 Webs.com offers a great blend of a web hosting service and also a great website builder. With an easy to use drag and drop interface, the site helps the user to set up a site within minutes by choosing form one of their templates. Apart from the hosting services, the installer scripts and the app store, a unique feature of Webs is that, it allows you to build membership sites directly on your site. So if this feature helpful to you, then this is definitely the site you could opt for. Want a website up in seconds? Want your hosting provider to provide you with all you shall ever need? Then its just Wix for you. Wix.com provides an out of the box free web hosting service. But the site mainly features an unique, easy to use website builder with which you can build your websites in minutes. You can check out some samples here which are created by real amateurs using Wix. Wix offers professional looking templates with a drag and drop user interface for building a website. It’s WYSIWYG (What You See Is What You Get) website builder caters to all the required needs. Wix is quite different from the conventional hosting providers as it provides an App market where in you can find apps as per your needs. Wix also has a unique mobile editor with which you can customize the look of your site for mobile environment. 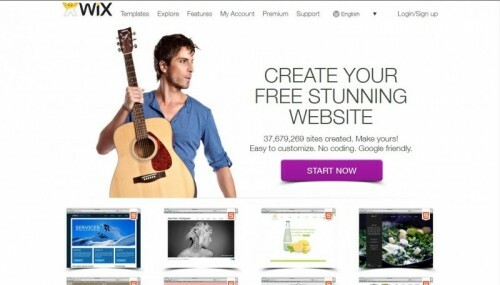 With all these features Wix.com tops our list as the best free web hosting provider out there.